NASA: "We've discovered a previously unknown surprise circling Earth"
This is wild. 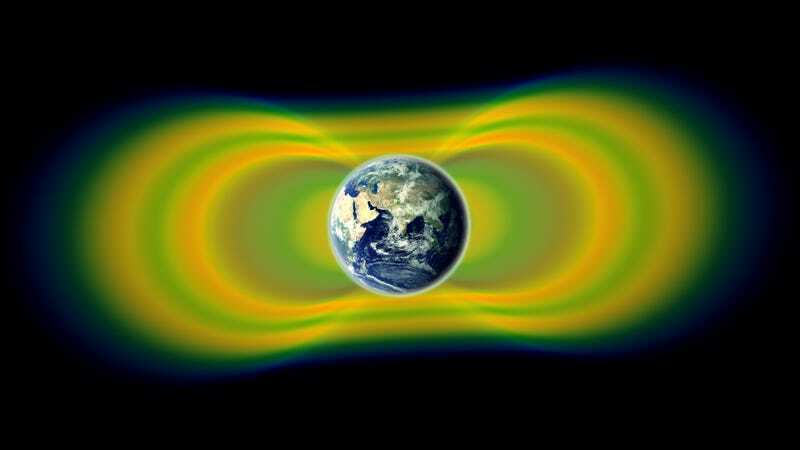 NASA's recently deployed Van Allen probes — a pair of robotic spacecraft launched just last August to investigate Earth's eponymous pair of radiation belts — are already turning out some very unexpected findings. 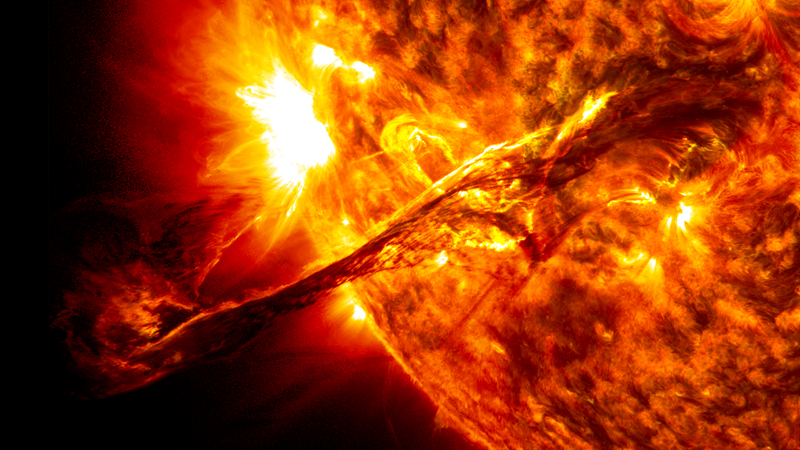 Chief among them: an ephemeral third ring of radiation, previously unknown to science, surrounding our planet. NASA says the discovery was a lucky one. Just three days after the Van Allen probes launched, a team of researchers led by planetary scientist Daniel Baker made an unusual last-minute request that their Relativistic Electron Proton Telescope (REPT) be turned on earlier than scheduled, in hopes that their observations would overlap with those of another mission called SAMPEX. What happened next was entirely unexpected. Almost immediately, the REPT instrument caught sight of a number of additional high energy particles trapped in the two previously established Allen Belts — but over the next several days, those particles began to settle into a never-before-seen configuration: a third, high-energy band embedded in the outer Van Allen belt, about 11,900 to 13,900 miles above Earth's surface. "We started wondering if there was something wrong with our instruments," said Shri Kanekal, deputy mission scientist for the Van Allen Probes and coauthor on the paper describing the results, published in this week's issue of Science. "We checked everything, but there was nothing wrong with them. The third belt persisted beautifully, day after day, week after week, for four weeks." But on October 1, the third belt vanished, apparently disbanded and "virtually annihilated" (to quote the researchers) by a powerful interplanetary shock wave of solar wind. The timing of the ring's formation suggests that a massive solar eruption on August 31st, 2012 (immortalized by NASA's Solar Dynamics Observatory, which captured the picture seen above — click here for hi-res) may have helped trigger its formation. This is our absolute favorite variety of scientific discovery — one that forces us to rethink something we thought understood. As the video below points out, the Earth's Van Allen belts were, in many respects, the first discovery of the Space Age. To learn something so unexpected about them more than fifty years after they were first discovered is a humbling and exhilarating thing. Via NASA: This visualization, created using actual data from the Relativistic Electron-Proton Telescopes (REPT) on NASA's Van Allen Probes, clearly shows the emergence of new third belt and second slot regions. The new belt is seen as the middle orange and red arc of the three seen on each side of the Earth. NASA: A narrated short video featuring visualizations of the Van Allen Belt's three ring structure. Baker's team's findings are published in this week's issue of Science.